Most readers will be aware of the new Edge variants for some of Samsung’s top-end smartphones that have curved edges for the displays. However, what if the handset itself had a curvy form? 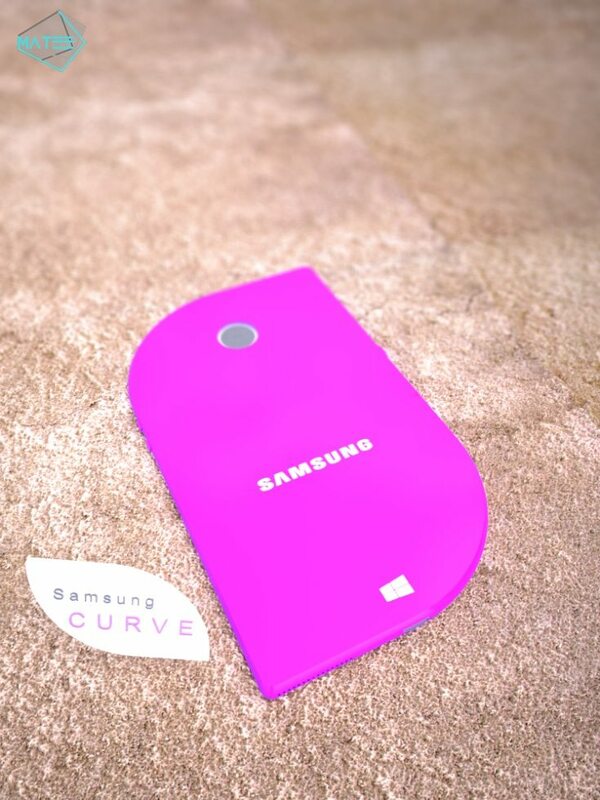 That’s the idea behind this Samsung Curve phone design that certainly looks different to the usual devices on the market. It can often be interesting to look at concept ideas for smartphones, as they can give us a taste of possibilities to come. Many renders we see have a standard handset look with design tweaks here and there that make them a little more unusual. The Samsung Curve phone that we’re sharing today goes a few steps further on the imagination front. This concept comes from designer Seyed Mehdi Sajjadi, and its shape looks pretty much like a stretched out teardrop. There’s something about the styling that we rather like, though we’re not sure we’d be ready to step out with it. 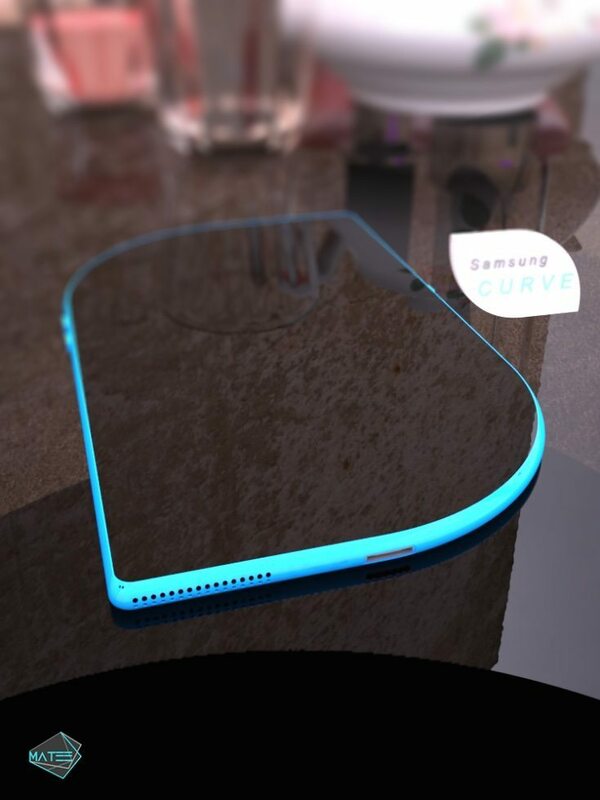 However, this Samsung Curve would definitely appeal to those who want to stand out in a crowd. The extremely slim handset comes in bright color choices that look like turquoise blue, lime green, and a purple/pink shade, and the edges of the display appear to merge seamlessly with the polycarbonate frame to offer an edge-to-edge experience. Specs are sparse but we can see a rear camera without a flash, and there’s also a front-facing snapper. 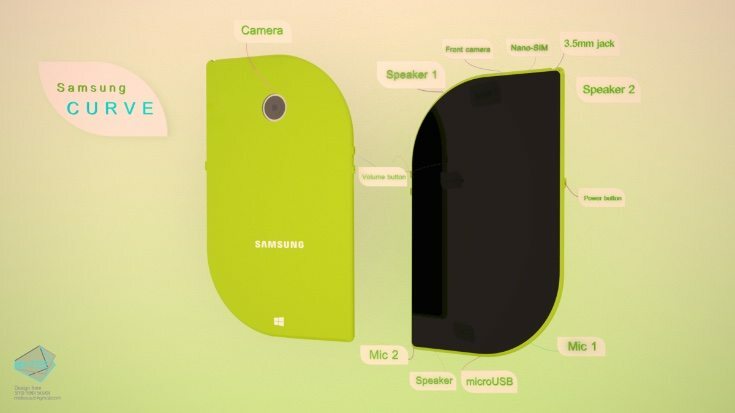 The designer imagines it as either a Windows mobile or Android smartphone but states a preference for Windows. You can see a further glance at the handset in the short video that we’ve embedded below. 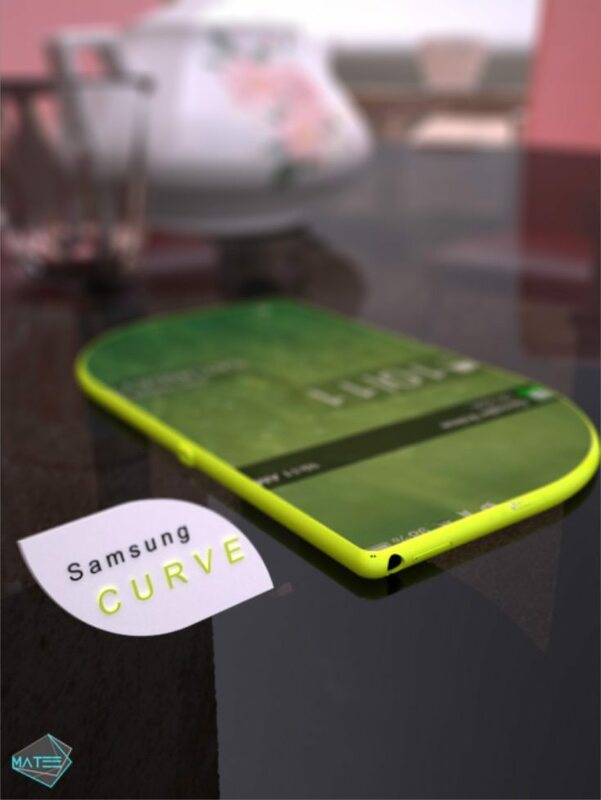 We’re intrigued to get an idea of what readers think of this idea for a Samsung Curve smartphone so do send us your comments. Is this a handset that you would like for yourself? If so, what is it about the Samsung Curve that appeals to you?